I haven’t had much time to be tippity-tap typing at my cyber-say-I spot as of late. I knew I missed it…but evidently not as much as my adult children! Turns out they’re actually following-me. Literally & physically taking pauses in their day to check and see if I’ve blogged a little ditty. “Hmmmm,” says my motherly thoughts. “When did that happen?” When did they stop running away from me and u-turn to try to find me instead. I shyly smile as thumpty-thump-thump goes my heart! Spending my days with the best dog in the Universe while praying. Visiting our Methuselah Ministry friends, the hospital and our church & praying. The cooking…with prayer, the cleaning…plus more prayer, the laundry routine, (lots of prayer there.) I’m still moving things ‘here & there’ in our new home, accompanied by prayer. 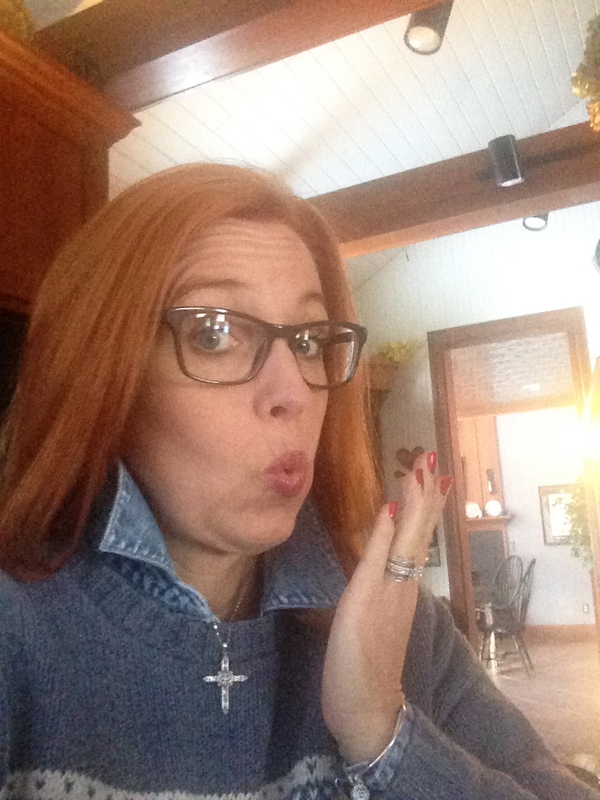 And oh yes, it’s the lenten season right now so….I pray some more. It seems I spend most of my days…in prayer. And that’s when I really smile as I make a head-heart connection. For in that moment I’m in the u-turn looking back over where I have been. The Practice of the Presence of God is a collection of documented conversations and letters written by a seventeenth-century French monk, Brother Lawerence. 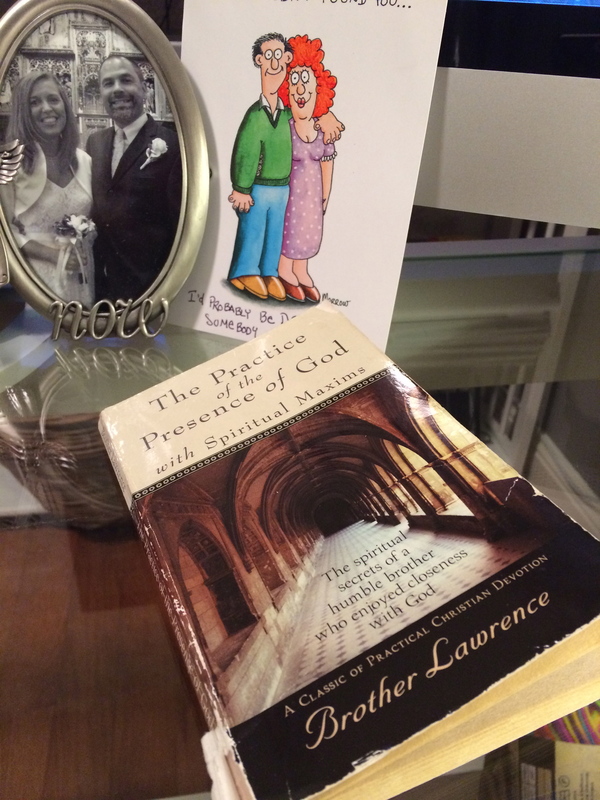 The book reveals how Brother Lawrence learned to practice the Presence of God at all times. And through the heart of this humble man we too learn. “The time of business does not with me differ from the time of prayer, and in the noise and clatter of my kitchen…I possess God in as great tranquility as if I were upon my knees at the blessed sacrament,” he writes. Throughout this beautiful collection he develops one great theme, best expressed by the psalmist, In Thy Presence is fulness of joy. As a young bride & mother I ached to find a purpose in what I did each day. Not working outside the home I felt a societal pressure to explain the importance of my work, work which my husband supported and valued as much as I. I jokingly claimed my chosen career as being: a Domestic Engineer. This read well on all necessary paper-work and the perplexed looks, usually involving a fuRRowed eyebrow, always made me giggle internally as people would silently try to determine, “Is there really an engineering degree for that? 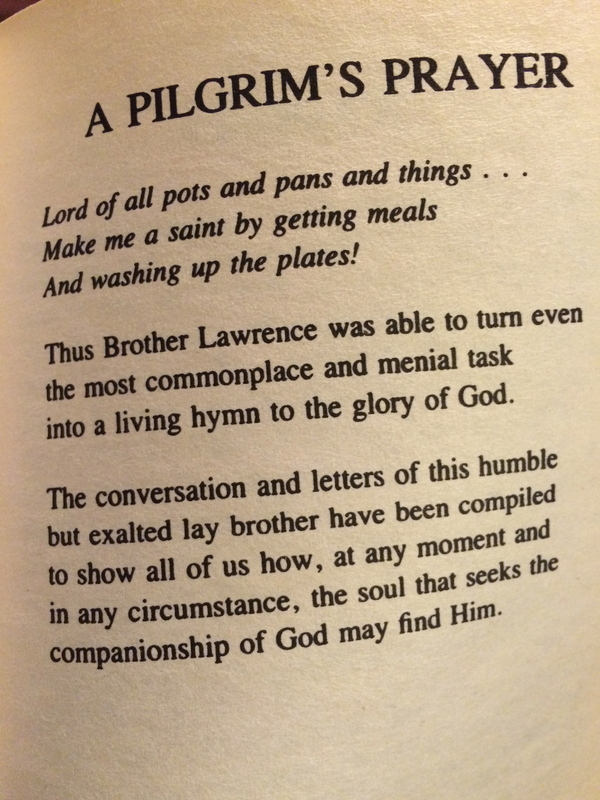 !” Through Brother Lawrence’s Spiritual Maxims I was able to define the very purpose for my great work of becoming a Domestic Engineer. A total surrender of ourselves, in every action we make, to Him. And now it Dawns on me why! Over the course of practicing what it has meant to me to be a Domestic Engineer I have stopped doing anything that does not involve prayer with it! Giggles! They don’t know I have a constant prayer which is running through my head in every action I make! A random selection of: Hail Mary, Glory Be, Our Father, a Hail Holy Queen. DIvine Mercy. Memorae. St. Michael’s prayer. A kitchen monk whose days were filled with buckets of water for the washing of floors and a sink full of dishes he was found worshipping as much in his kitchen as in his cathedral. His greatest desire was to walk, with every thing he did throughout the day, as if he were walking in His presence. He showed us how, at any moment and in any circumstance, the soul that seeks God may find Him, and so too practice the Presence of God. Ting-tingly, as I come out of my u-turn, I am grateful for this habit I’ve developed of not being able to concentrate…or juggle more than one thing at a time…because I know what prevents it is the mantra of my mental prayer. A praying that is so beautifully automatic I don’t even recognize is playing most times. But they’re there. A constant ticker-tape-tick of prayers. Which leads me to decide…it’s time to make a meatloaf.